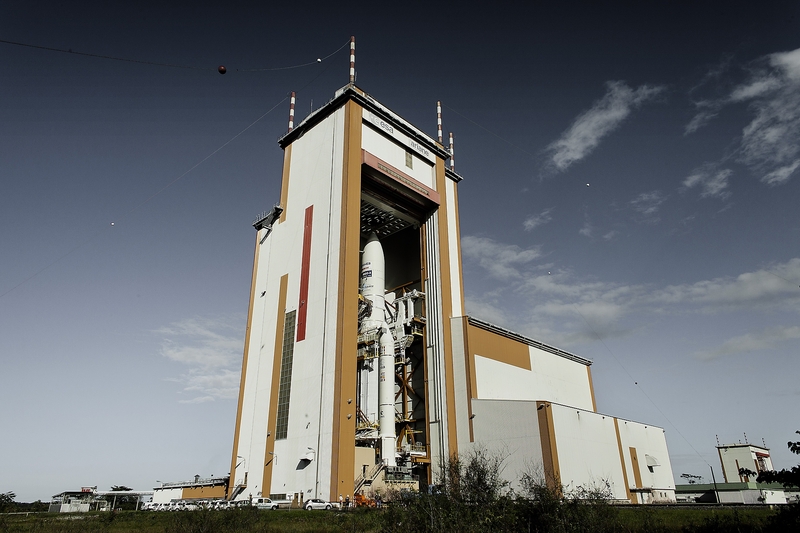 Arianespace was founded in 1980 as the world’s first satellite launch company. Its shareholders include French space agency CNES, Astrium, and all the European space companies, which together represent 10 European countries. 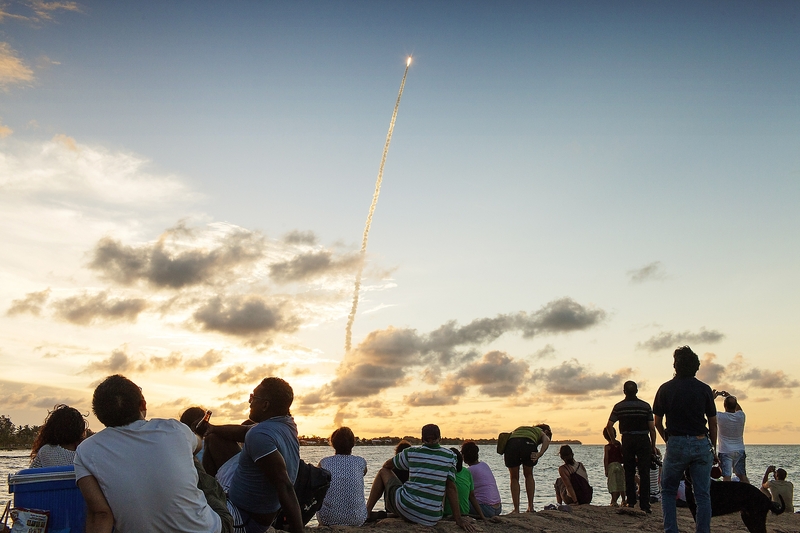 On 1st July 2012, the company had a total of 315 employees between corporate headquarters in Evry, the Uiana Space Centre in Kourou (CSG), launch site for Ariane 5, Soyuz and Vega, and at local offices in Washington DC, Singapore and Tokyo. Since its creation, Arianespace has signed contracts with 80 customers and has carried out 207 Ariane launches (for a total of 303 payloads including more than half of the commercial satellites now in service worldwide), 26 Soyuz launches (2 at CSG and 24 at Baikonur in Kazakhstan via its joint subsidiary with Russia, Starsem) and the first launch of Vega. 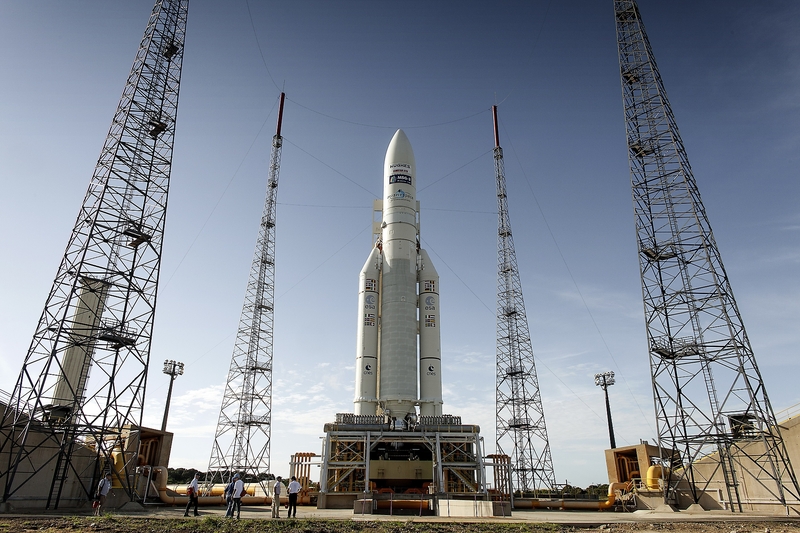 In 2011, Arianespace recorded revenues of 1,013 million Euros. On July 5, 2012 Ariane 5, the EchoStar XVII and MSG-3 passengers were deployed into geostationary transfer orbit during a 34-minute flight. Total payload lift performance was approximately 9,640 kg., which included the combined mass of the EchoStar XVII and MSG-3 spacecraft, plus the launch vehicle’s dual-passenger dispenser system and satellite integration hardware. EchoStar XVII is a Space Systems/Loral-built 1300-series satellite platform, and is to be operated by Hughes Network Systems delivering broadband services fof geostationary orbit to consumers, businesses and government customers across North America. MSG-3 is a weather observation spacecraft for EUMETSAT (the European Organization for the Exploitation of Meteorological Satellites). Produced by a Thales Alenia Space-led consortium, MSG-3 will operate in geostationary orbit providing detailed images of Europe, Africa and the North Atlantic for use by meteorologists and national weather forecasters. 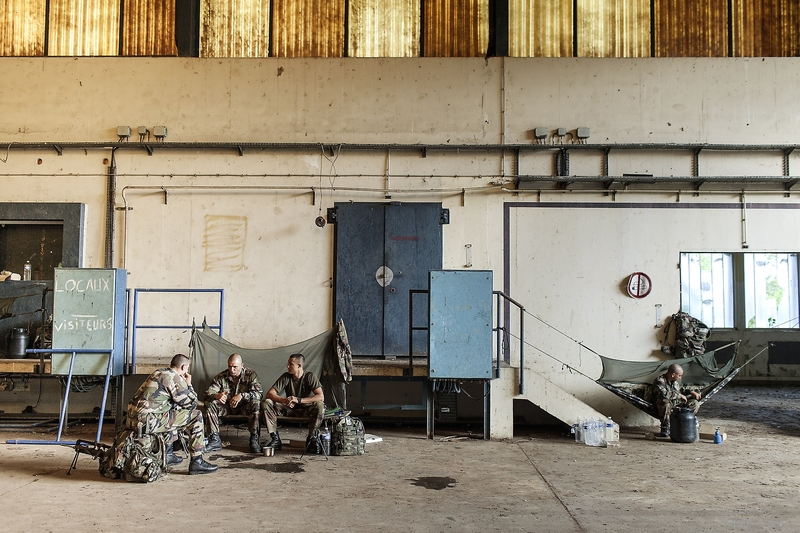 The security around the Kourou’s Guiana Space center, which has been operating since 1979, is provided by the French Foreign Legion who controls the area of the space port which is larger then the city of Paris and the size of Martinique Island. 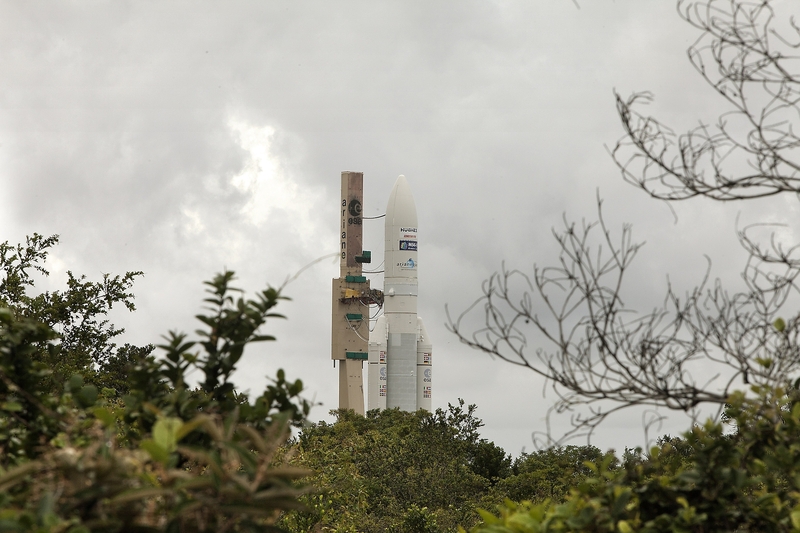 Ariane 5, which will deploy the EchoStar XVII and MSG-3 satellite on the launch pad ready to be launched into space at the Guiana Space Centre. The launch area of Soyuz launch pad at the Guiana Space Centre. 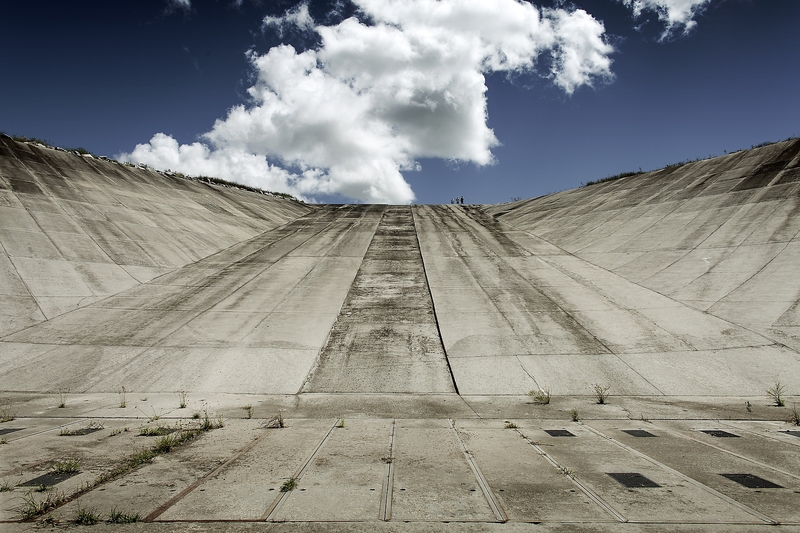 A detail of the launch area of Soyuz launch pad with the “tulip” of the Soyuz launch system at the Guiana Space Centre. 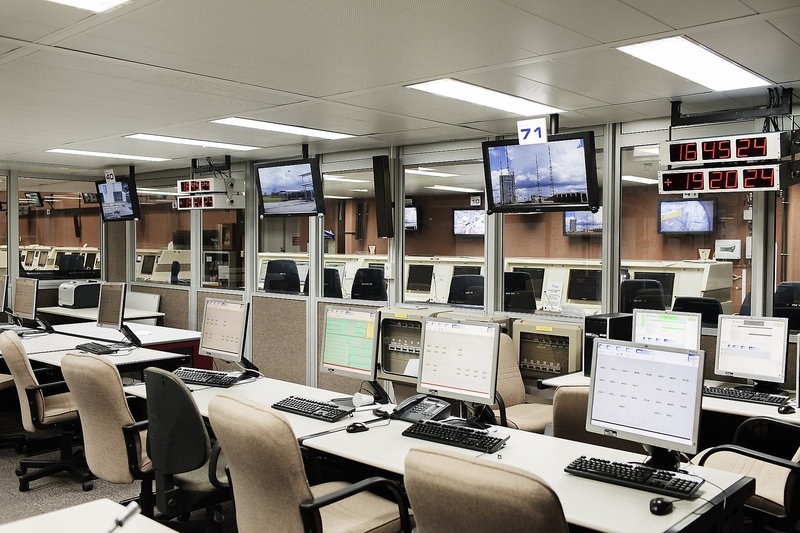 Monitors in the empty launch control center, the “cockpit” of Ariane two days before the actual launch at the Guiana Space Centre. 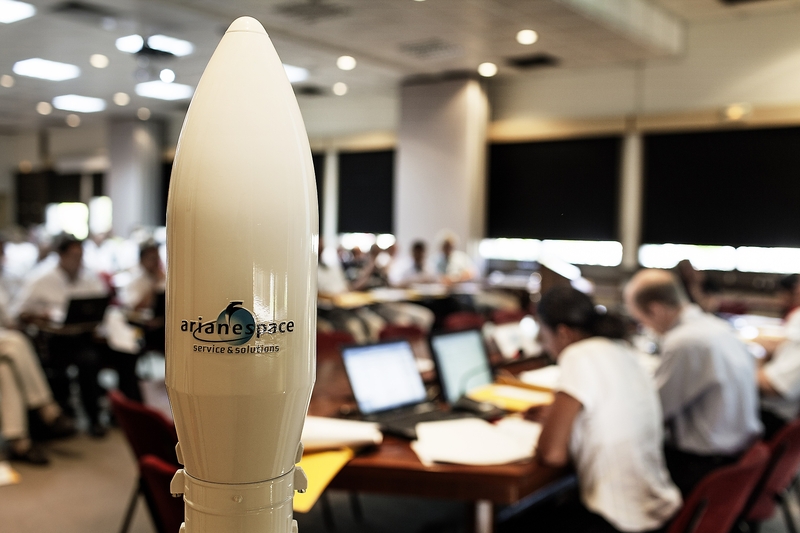 Space centre staff attends the launch readiness review meeting before the launch of Ariane 5 which will deploy the EchoStar XVII and MSG-3 satellite at the Guiana Space Centre. 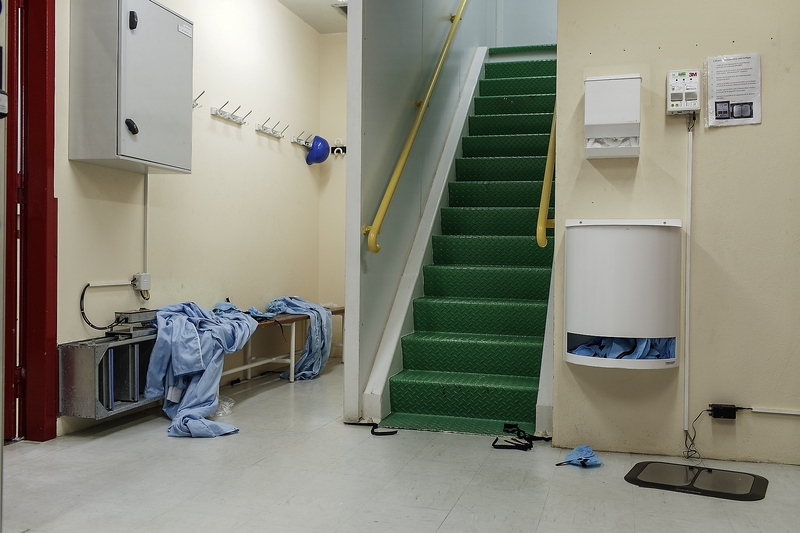 Space centre staff technical suits left behind before the roll out to the launch pad of Ariane 5 which will deploy the EchoStar XVII and MSG-3 satellite at the final assembly building at the Guiana Space Centre. 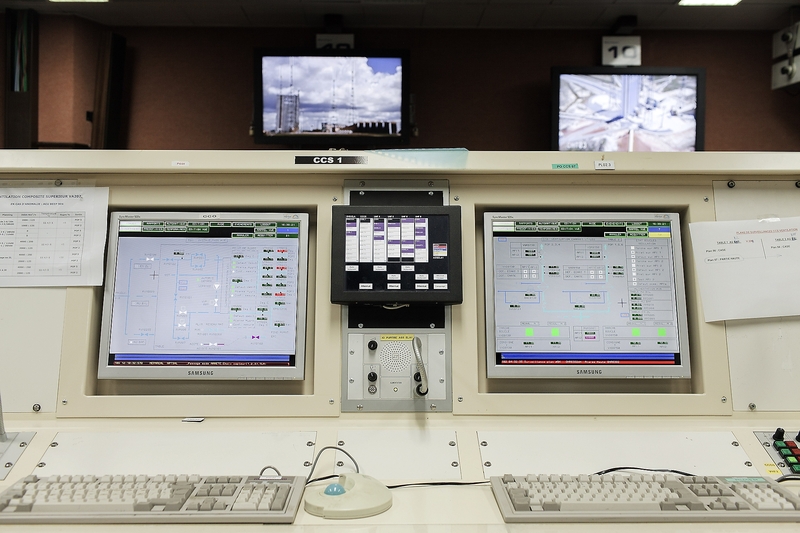 A Space centre staff works at the reception of the Launch control center, the “cockpit” of Ariane at the Guiana Space Centre. 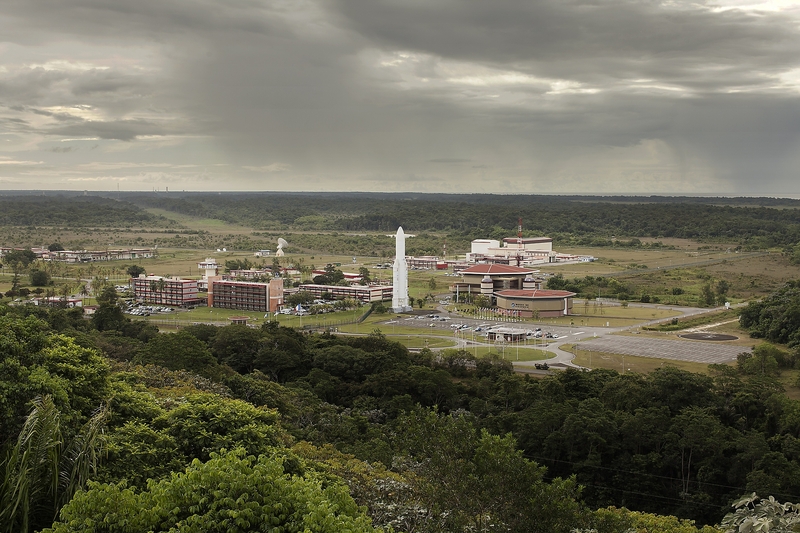 General views of the Ariane facilities are seen at the Guiana Space Centre. 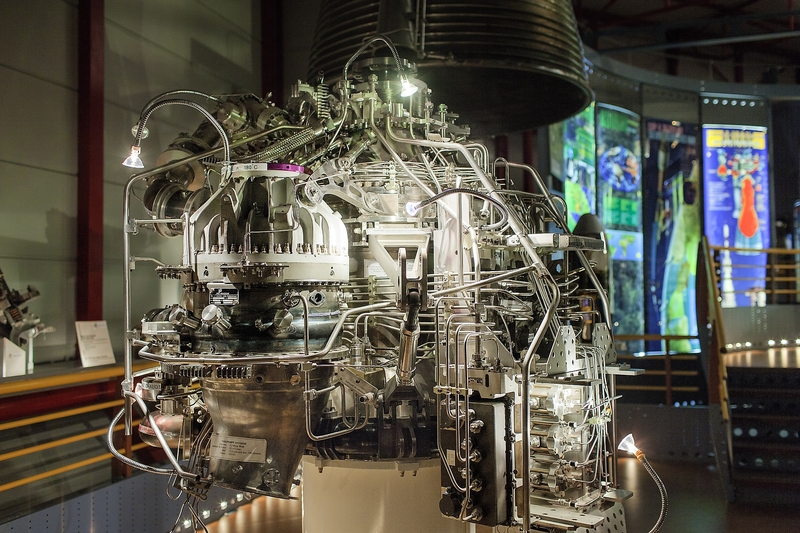 The details of a satellite engine at the Space museum at the Guiana Space Centre. 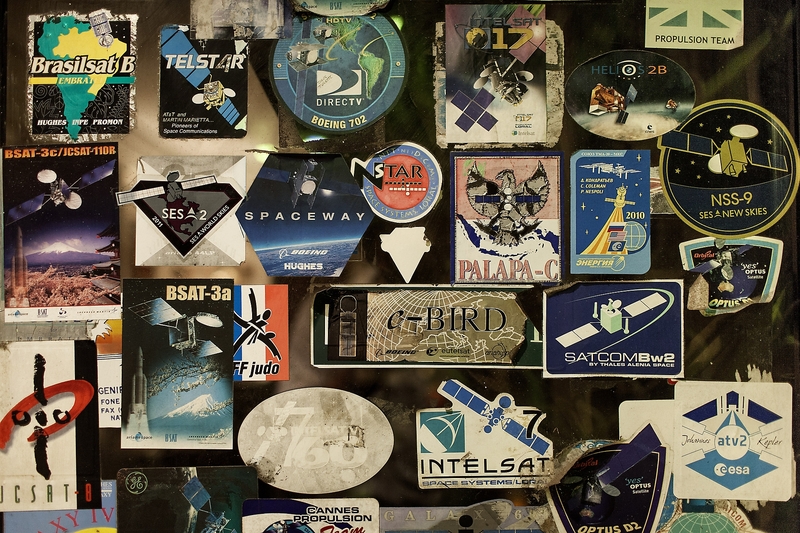 Stickers of different satellite launched from the Guiana Space Centre on a window in a local restaurant in Kourou. 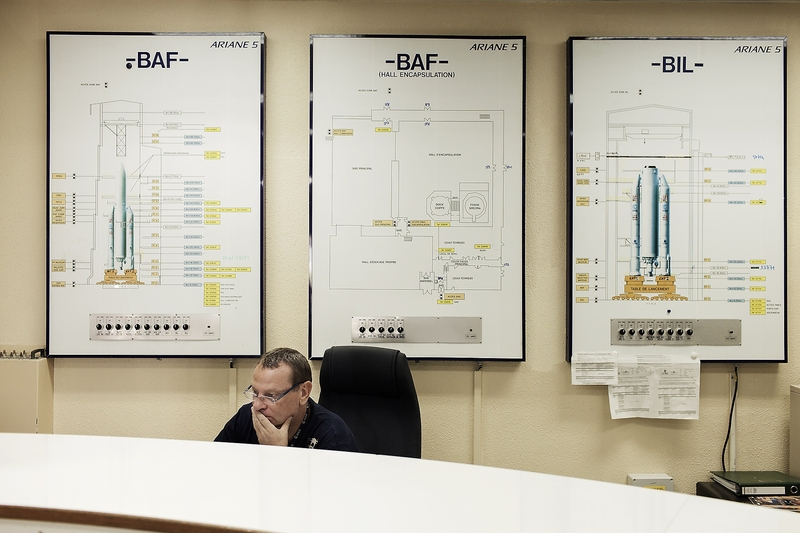 An engineer working inside Ariane flight 208 which launch is planned at the Launcher Integration Building (BIL) on July 3, 2012 at the Guiana Space Centre. 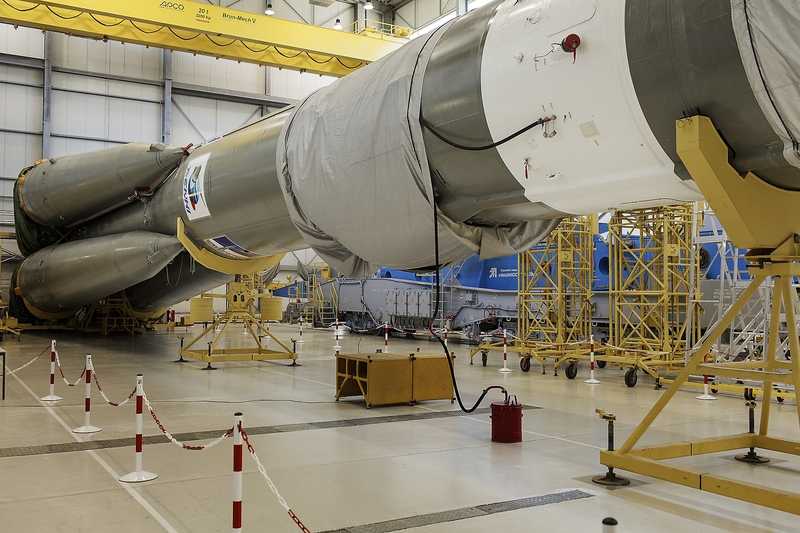 Ariane flight 208 which launch is planned on August 3, 2012 under preparation at the Launcher Integration Building (BIL) at the Guiana Space Centre. 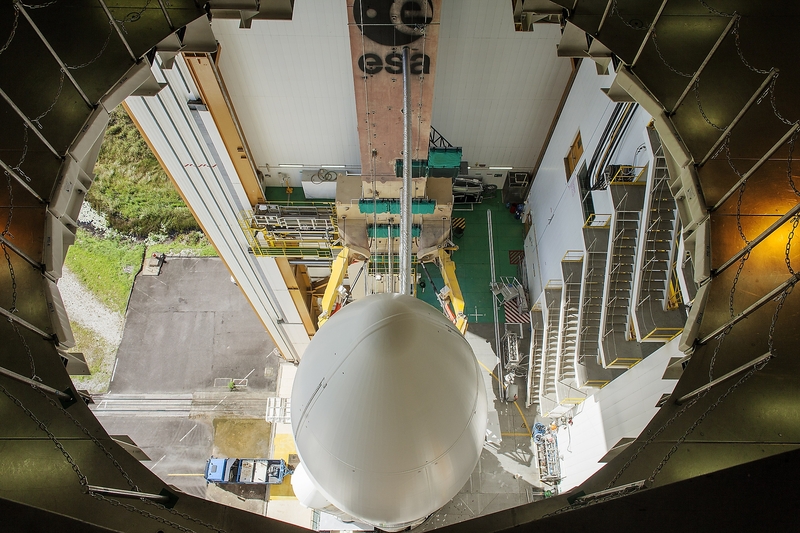 Ariane 5 which will deploy the EchoStar XVII and MSG-3 satellite before the roll out to the launch pad at the final assembly building at the Guiana Space Centre. 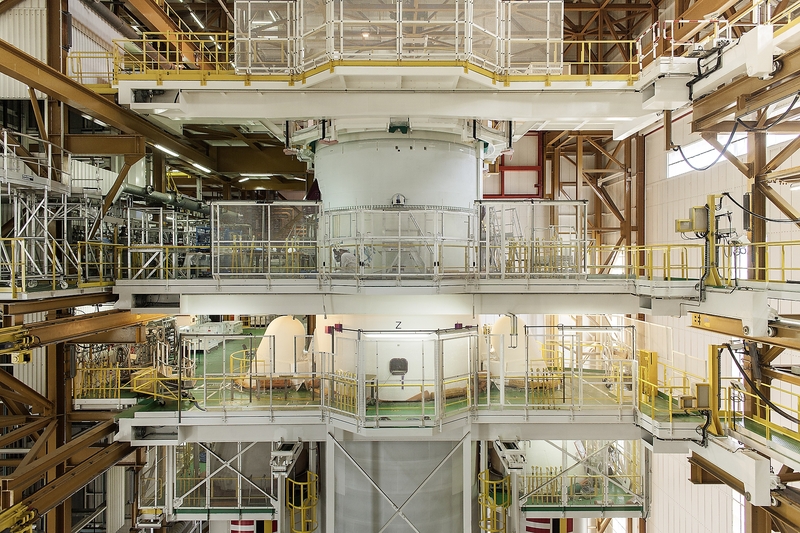 A detail of the cryogenic arms that supply liquid hydrogen and oxygen to the third stage of Ariane 5 which will deploy the EchoStar XVII and MSG-3 satellite before the roll out to the launch pad at the final assembly building at the Guiana Space Centre. 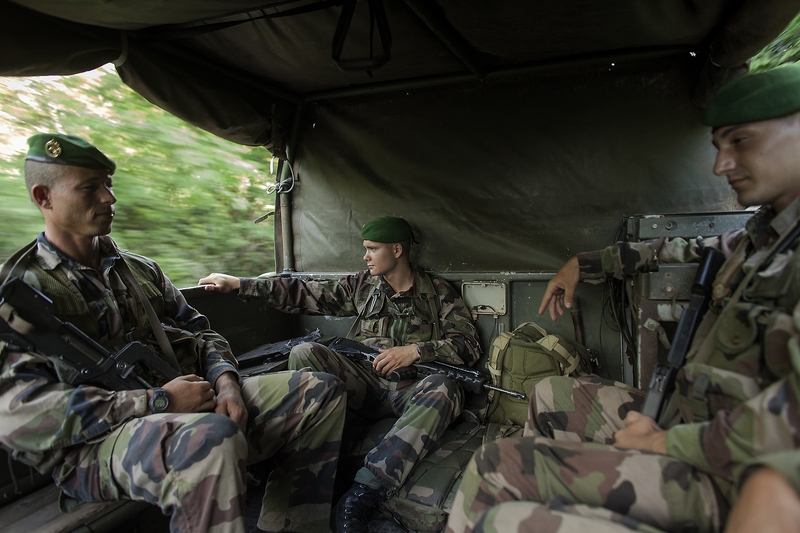 French Foreign Legion officer, 28 year old lieutenant Pierre SIRJACOBS, chef de section de 1Ëre section de la 2Ëme compagnie du 3Ëme rÈgiment Ètranger d’infanterie, drives on a truck as he patrols with his fellows the perimeter of the Guiana Space Centre. 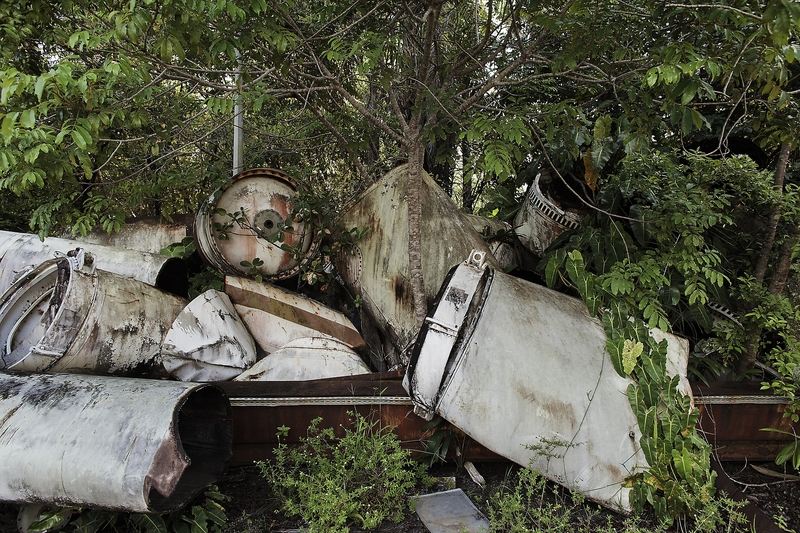 Abandoned and old remaining pieces of missiles used by early Ariane missions left behind in a facility used as an outpost by the French Foreign Legion controlling the perimeter of the Guiana Space Centre. 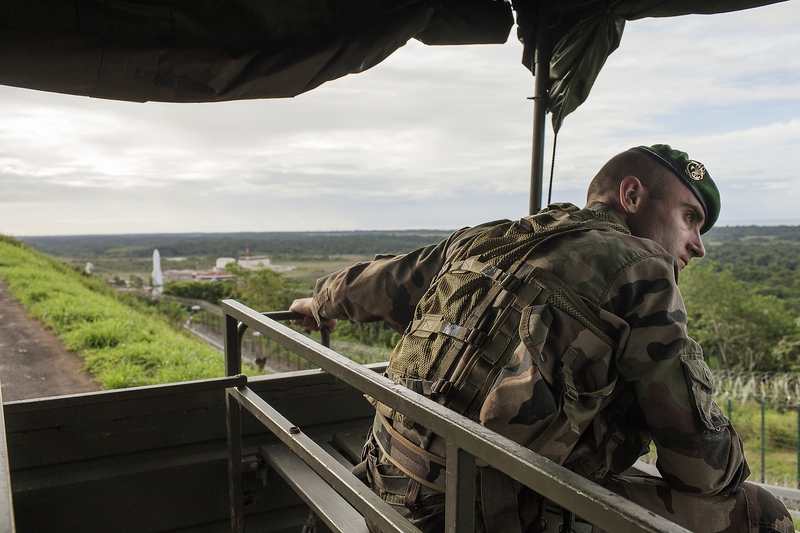 French Foreign Legion officers drive a truck as they patrol the perimeter of the Guiana Space Centre. 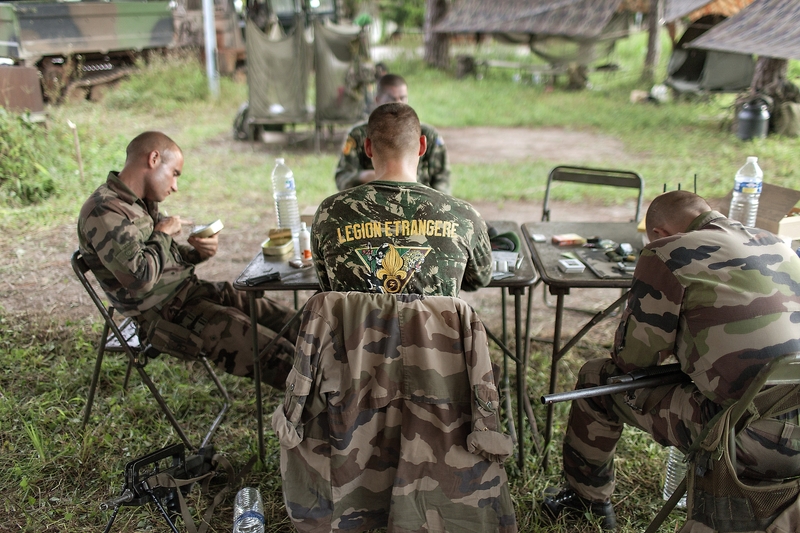 French Foreign Legion officer control the perimeter of the Guiana Space Centre in between patrol living on an abandon launch pad facility from previous Ariane missions. 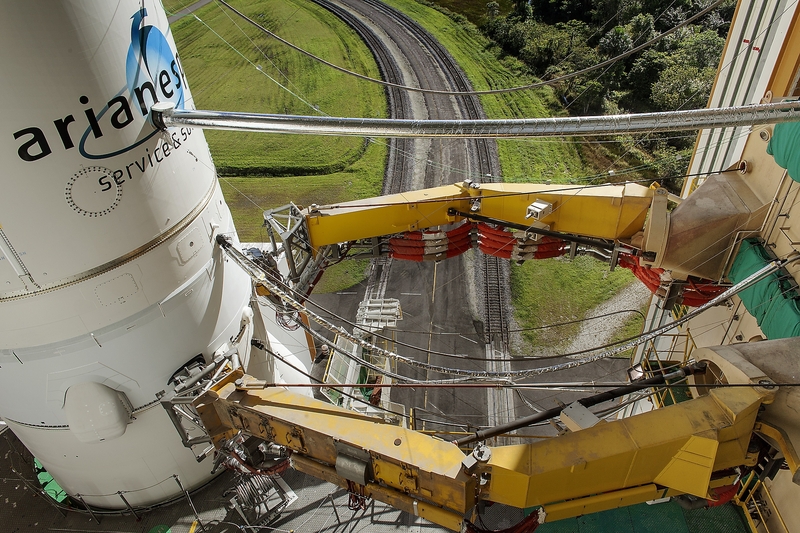 Ariane 5 which will deploy the EchoStar XVII and MSG-3 satellite roll out to the launch pad from the final assembly building at the Guiana Space Centre. 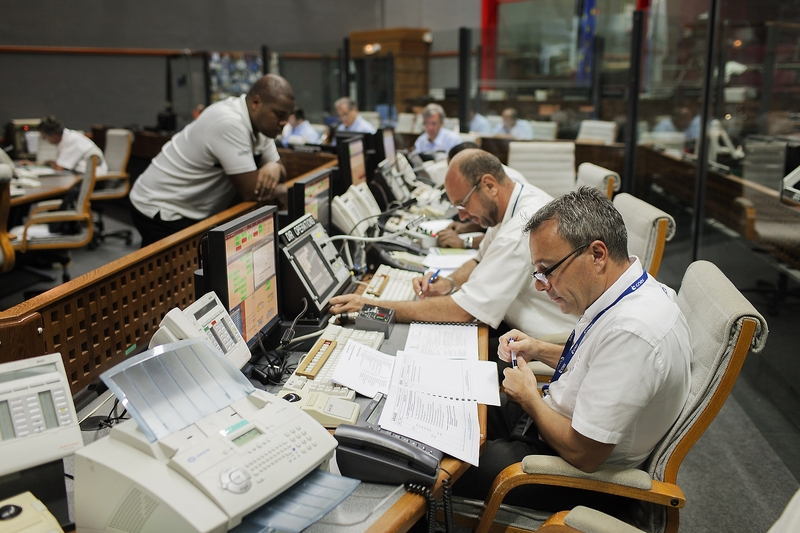 Space centre engineers and staff members at work in the Jupiter control room before the launch of Ariane 5 which will deploy the EchoStar XVII and MSG-3 at the Guiana Space Centre. 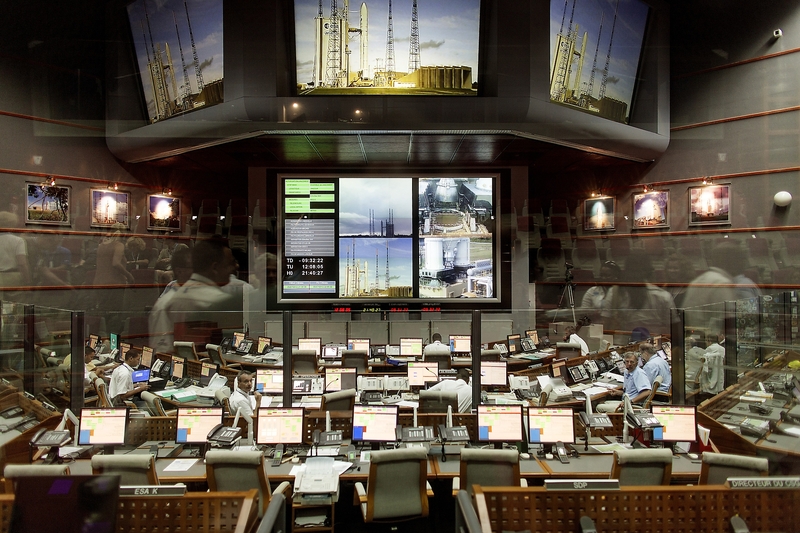 Space Center engineers and staff members at work in the Jupiter control room before the launch of Ariane 5 which will deploy the EchoStar XVII and MSG-3 satellite at the Guiana Space Centre. 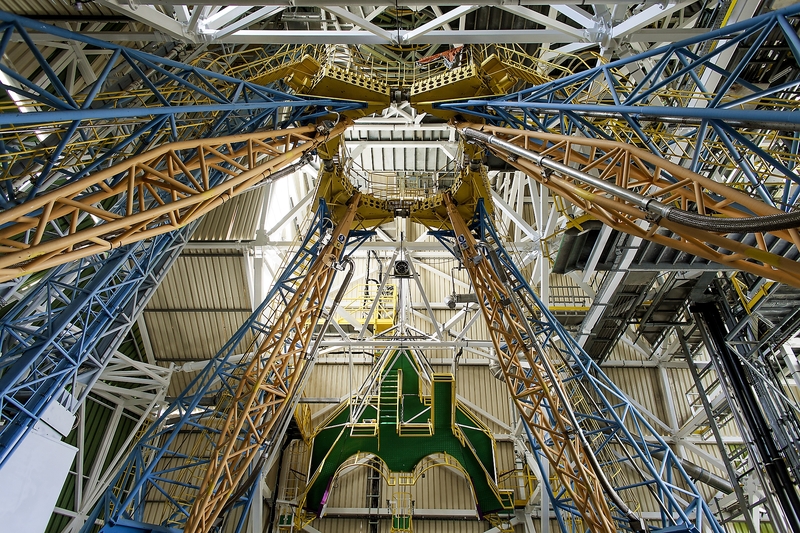 The Soyuz launcher inside the MIK Integration building where the four-stage vehicle is raised into the vertical position ready for its mission at the Guiana Space Centre. 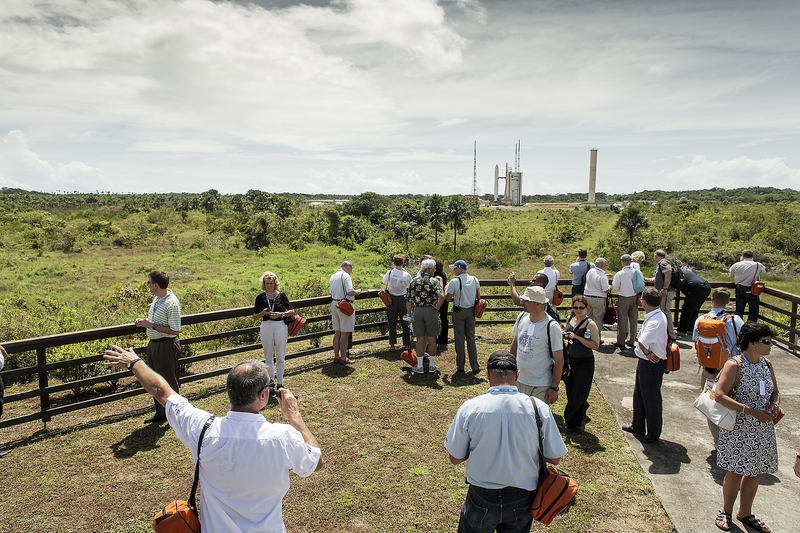 VIP’s and Ariane customers visiting the Ariane 5 launch pad the day of the launch of Ariane 5 which will deploy the EchoStar XVII and MSG-3 satellite at the Guiana Space Centre. French Foreign Legion officer controlling the perimeter of the Guiana Space Centre in between patrol living on an abandon launch pad facility from previous Ariane missions. 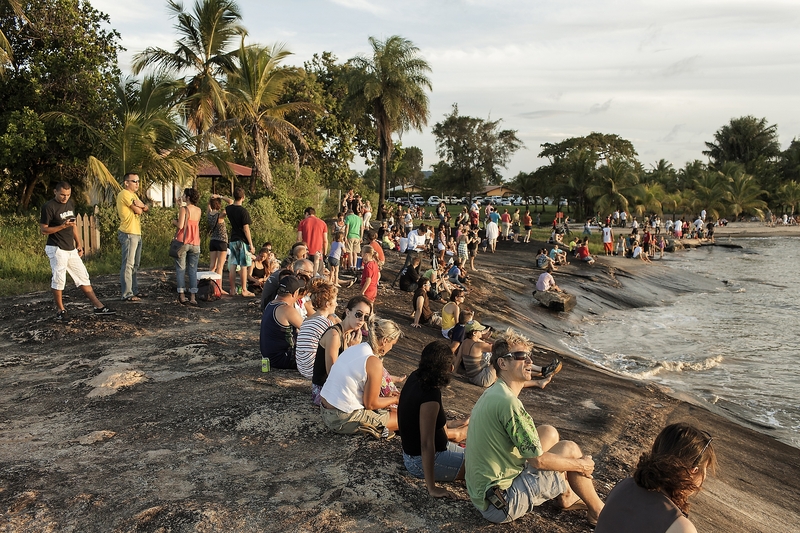 Local residents gather together on the beach to look at the launch of Ariane 5 which will deploy the EchoStar XVII and MSG-3 satellite in Kourou.